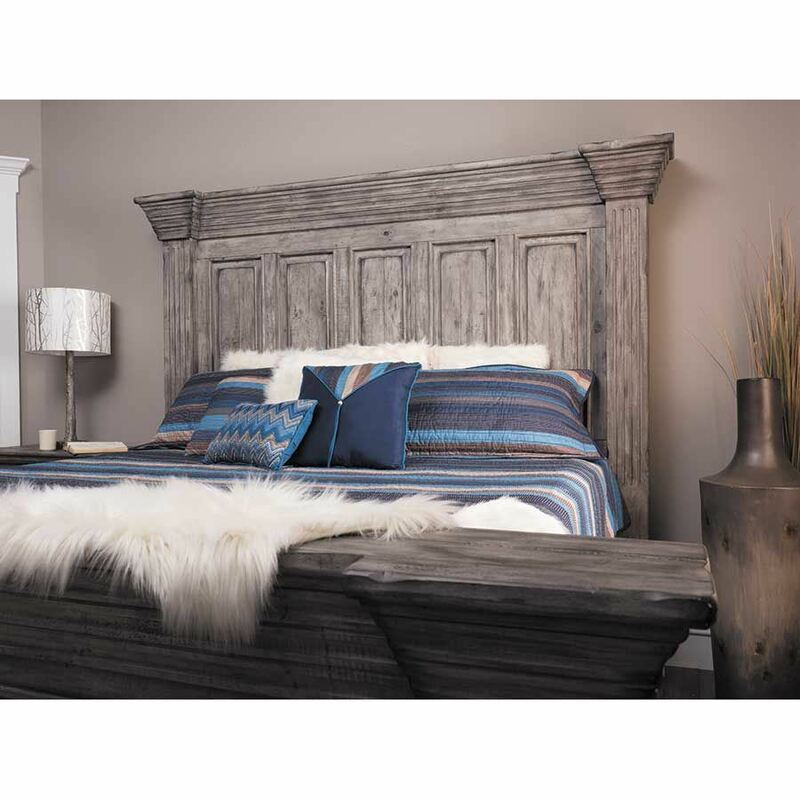 Surround yourself in rustic splendor with the Grey Isabella Queen Bed from the Isabella Bedroom Collection by Nero Lupo. 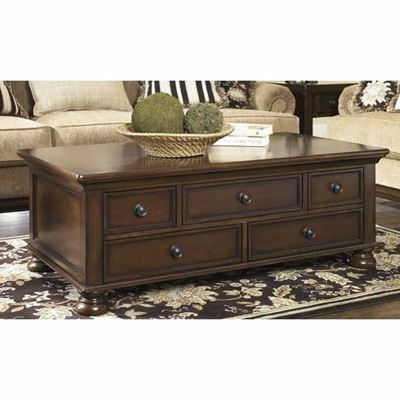 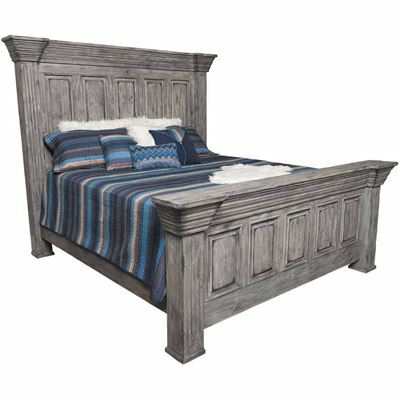 This mansion-sized bed pairs traditional styling and a rugged finish for a stately look with character. 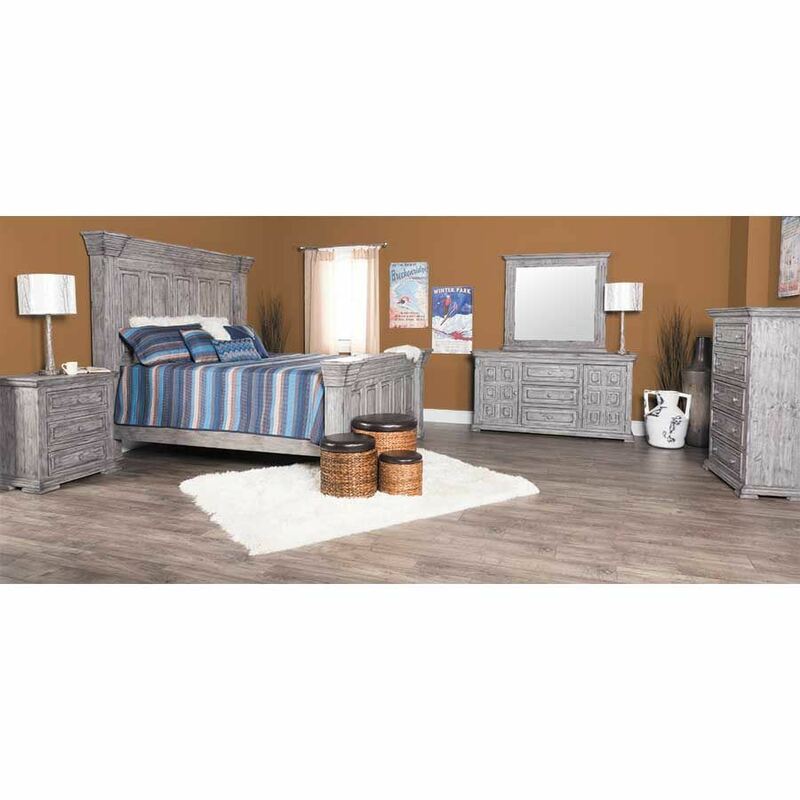 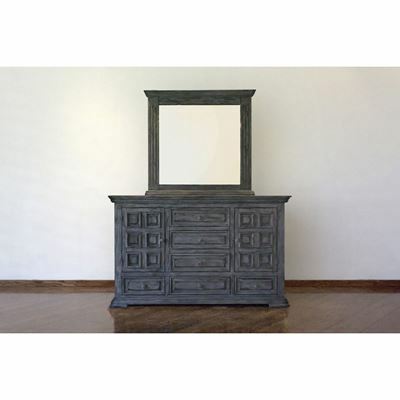 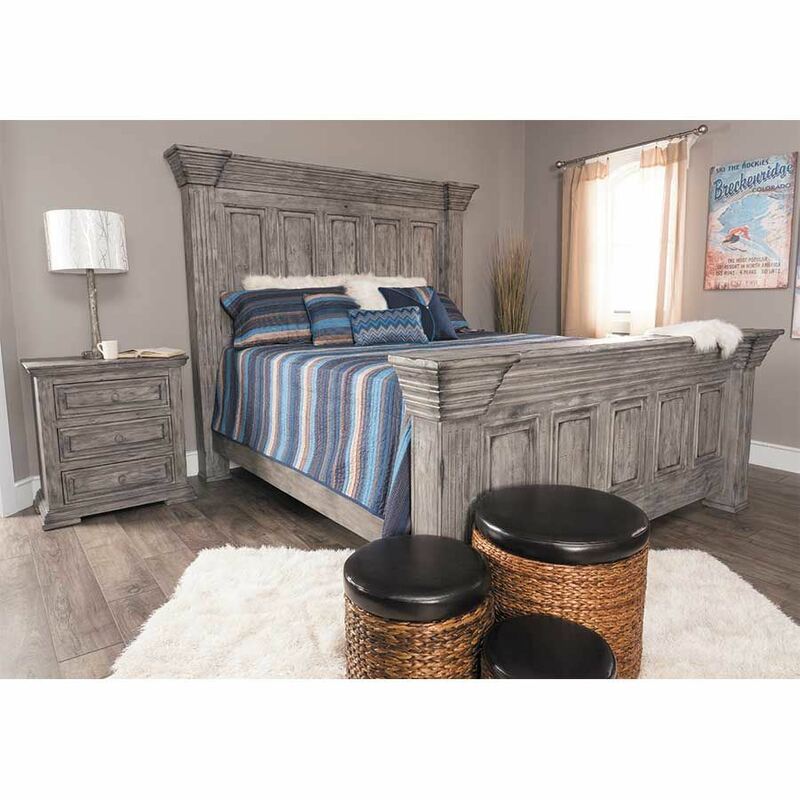 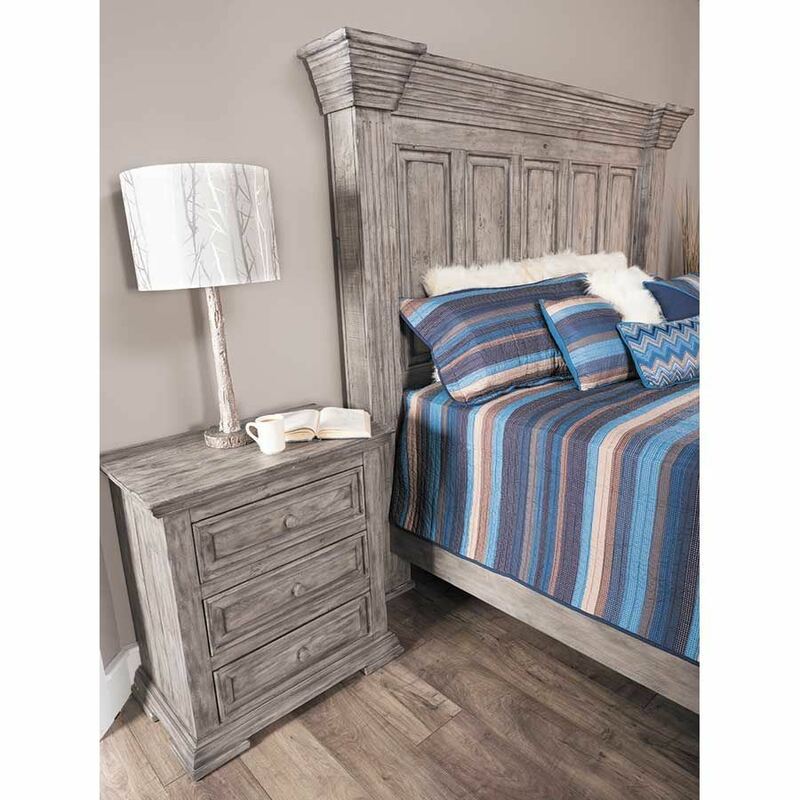 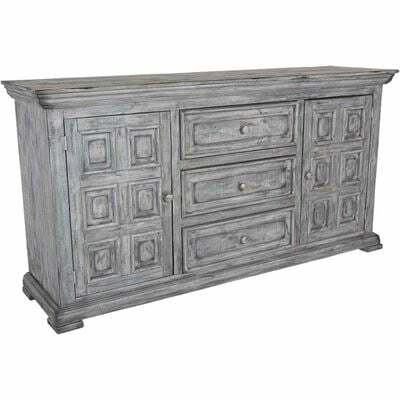 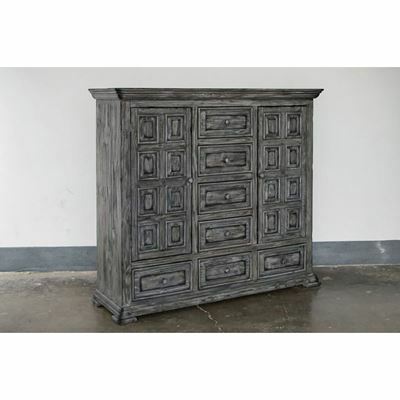 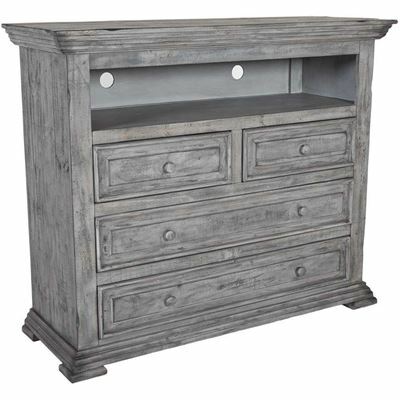 The bed features classic molding along the crown along with raised frame details on headboard and footboard that contrast beautifully with the grey rubbed finish. 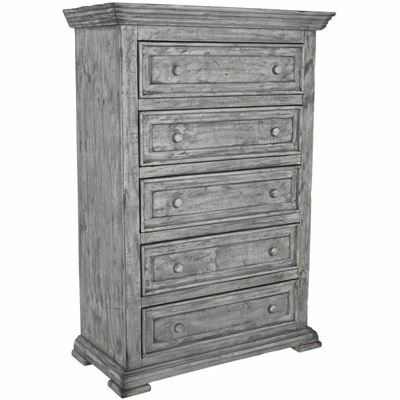 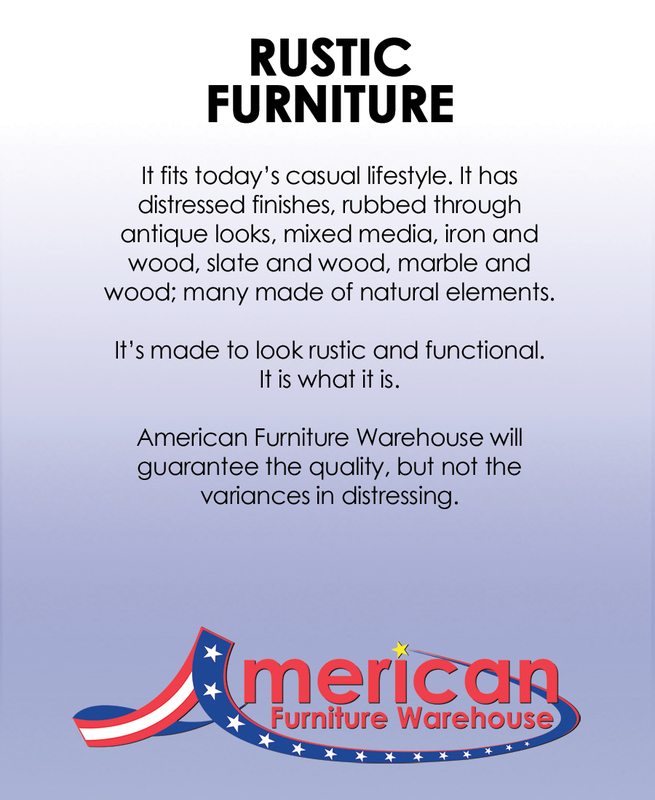 Rasp marks, rub marks, and dents give the set a distressed look.